Ashwin’s 12 wickets for 85 runs is the best bowling performance by an Indian player against New Zealand in Test cricket history, with the previous being Srinivas Venkatraghavan’s 47-year-old record in Delhi, where he took 12 wickets for 152 runs. Ashwin noted that since the New Zealand batsmen were struggling against Ojha from the other end, it helped gain more confidence and momentum in picking up early wickets. “Due credit needs to be given to him (Ojha) as well. If one spinner takes the wickets and the other gets carried away then it becomes tougher,” Ashwin said. 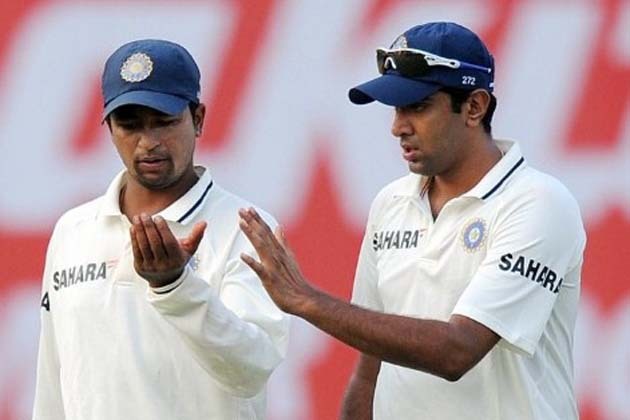 “Ojha is someone with whom I’ve played with for 16 years. We’ve always enjoyed each other’s company. Rather I was a batsman when Ojha was a prime bowler then. But we still used to bowl in one-dayers together. We always bowled well together. We always used to build to pressure very well,” Ashwin added. Ashwin also mentioned that he hoped the convincing win against the New Zealand would encourage the team to keep performing well throughout the rest of the season, and forget about the 4-0 whitewash at the hands of Australia at the start of the year. “As a whole the team had a tough year. It happens with every team. We put that behind and started on a good note. We hope we will continue and have a great season,” Ashwin said. This entry was posted in Uncategorized and tagged 12 wickets, Australia, best bowling performance, confidence, convincing win, credit, cricket, encourage, India, momentum, New Zealand, Pragyan Ojha, Ravichandran Ashwin, six wickets, Srinivas Venkatraghavan, struggling, vital part, whitewash. Bookmark the permalink.